One of the first things I said, when my sister told me she’d got a job in Germany back in the summer, was ‘think of the Christmas markets!’ Yes that’s right, I was excited about the prospect of a true Christmas market and yes my brain was thinking of this in August! I couldn’t wait to book flights out there for a pre Christmas trip, and it definitely was as magical as I was hoping. 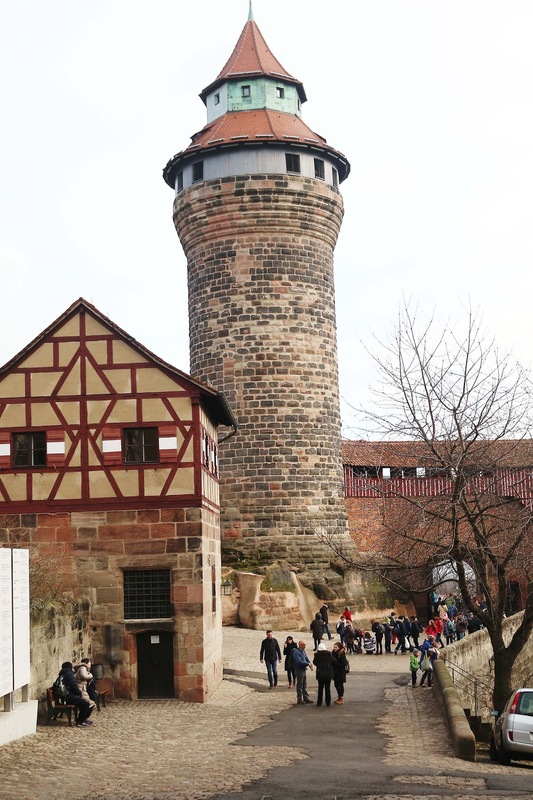 To be honest, Germany had never really been on my list of places I wanted to visit before, but I have to say after spending the last few days in Nuremberg (which is North of Munich) that I feel bad for not giving it enough credit as it definitely is a place you should try and visit. I was of course, very excited about the Christmas markets, but I couldn’t get over how pretty all the buildings were. I constantly felt like I was walking round in a story book. The flights out there were super cheap, we flew with Ryanair and the earlier you book your flight the cheaper it is. We booked in mid October and our flights were about £16-18 each way which is cheaper than most train rides. It took just under two hours to fly there which seemed to go by really quickly. Also in November, Ryanair had a huge £2 flight sale for November flights, so if you’re pretty flexible then this is definitely worth looking out for! On the Saturday evening when we arrived, we met Hayley and dropped our bags off at her flat. We then went into Nuremberg for dinner. I got so excited by all of the Christmas lights, and of course my first sighting of the Christmas markets. We went to Vapiano for dinner, an Italian which has chains in the UK. It’s cheap, cheerful and has good food, what’s not to like? The tables are like big benches which you just sit at, which can make slightly awkward dining but it was fine and worth it for the 9 euro pizza. We then made our way back after this, as we were shattered. We spent the evening watching 13 Going On 30 and getting ready for a jam packed couple of days. I was definitely expecting the weather to be colder than what it was. I’d even packed a thermal vest (lol grandma over here!) It was just like home really, though I was SO glad I’d picked up my new Misguided coat as that kept me so cosy. On the Sunday we spent the morning having brunch at Five Diner which was amazing. They bring out fresh, warm rolls with spreads such as jam, Nutella and marmalade for free before your meal. I then had the sweet pancakes which were so good! Also again, I thought the food was very reasonably priced. I also had homemade watermelon lemonade which was also amazing. 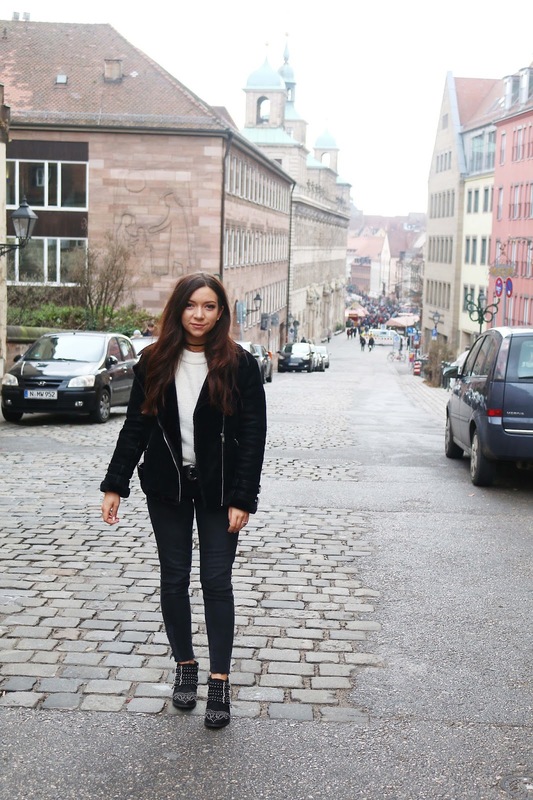 After this we strolled round the Christmas markets. The scents of gingerbread, mulled wine and sausages filled the air ( a weird combo but definitely one which works) and I was so excited to have a good old mooch! A lot of the stalls were very similar if I’m honest, from lots of gingerbread stalls, to gluhwein bars and food carts. We strolled round the market and made a little list of what we wanted (all the gingerbread for me!) We also went to the Children’s market which was so cute, it had fairground rides such as a carousel and mini ferris wheel (which I wasn’t allowed on 🙁 ) and was a really lovely place to walk round with a hot mug of apple rum which was SO good. We went back for a chill in the afternoon as it was raining, and then ventured out again in the evening. I loved the market at night because of the lights, and could happily decorate my house the same way! We went for burritos for tea which weren’t the best if I’m awfully honest, but I am very highly critical of burrito’s and make a mean one myself (if I am allowed to toot my own trumpet!) We then headed back to the flat, feet tired, and settled in to the evening watching Love Actually. Our last full day on Monday, was spent looking round Nuremberg’s castle which definitely looks like it is out of a fairytale. I could just imagine Rapunzel letting down her hair or something. We then strolled back into town, had roasted sweet nuts which were literally hands down one of the best things I’ve ever had, and Hayley showed us round some of the shops. I liked Nuremberg cause it’s wasn’t too big, the shops were lovely and I realised that I must have a similar homeware taste to Germany as all of the shops had my dream house accessories! I wish I had a bigger suitcase to take it all back with me! Also little side note, my trip was made by the fact that dogs are allowed in the shops, so you’d casually be shopping and spot a dog. I kinda wanted to move to Nuremberg just to see dogs out and about all day long. We had lunch round the market and I spotted a Raceltte stand, it was a big wheel of melted cheese. It was like the kind of thing that you see on those videos on Facebook and it was definitely cheese p0rn. 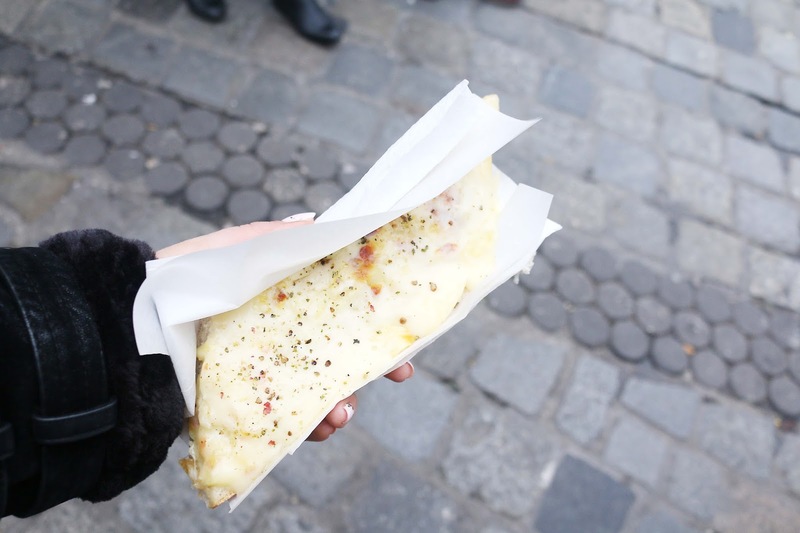 I had this big slab of melted cheese on a baguette and omg it was amazing. I do have quite simple taste food wise, but melted cheese is just one of my faves and this was my idea of heaven. We bought gingerbread hearts for everyone back home, Christmas baubles for ourselves and for presents and a few other little bits and bobs. The markets were definitely quieter on the Monday so I’d recommend booking a mid week trip if you can! After warming up in a cafe with hot chocolate, we had another good old mooch round, by this time we were pretty cold and content with out Christmas market strolling. We hit the supermarket on our way home and bought pizza, crisps, and chocolate for dinner then settled down with Matilda and Mrs Doubtfire. The next morning it was time to come home, Mum and me had probably a little too much fun walking round the supermarkets looking at all the german foods, again this is where I wish I had a bigger case with me! Before we knew it, we were at the airport boarding our flight back to Manchester. It was a really lovely couple of days, I felt refreshed from taking a little break from online and being all Christmasy. I felt like three nights and two days, was plenty of time to explore the markets and shops. It’s not a huge place and I am sure there is a lot to see, but this is a perfect break for a weekend/mid week if you want to get all festive. 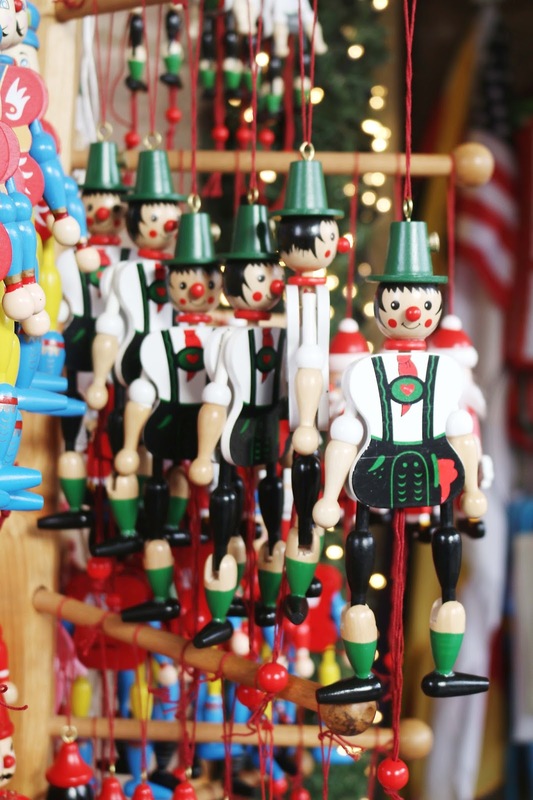 It’s a cheap break, and you get to see a real german Christmas market, what is not to love? 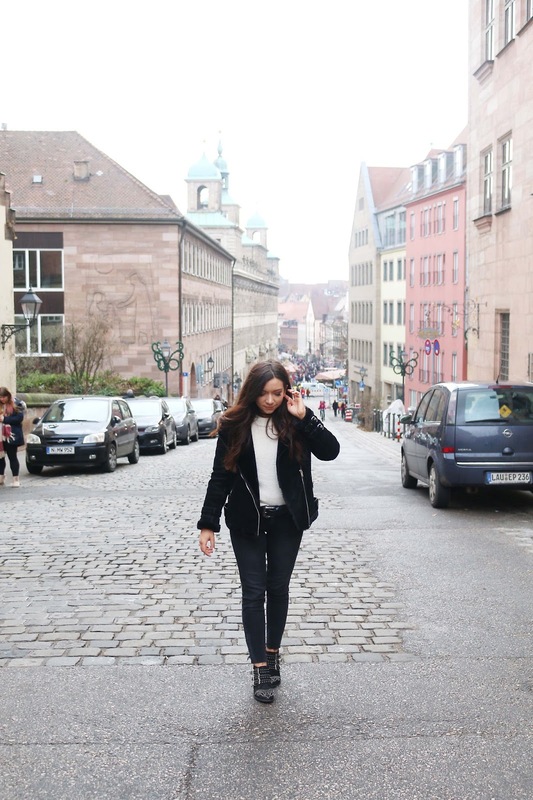 I can’t wait to visit back in the Spring as Nuremberg really is a beautiful city and if you are a fairytale fan (or like a pretty Instagram picture) you will love it. This trip has made me eager to visit more European cities, with short haul flights being so cheap, it seems a crime to not be exploring these places when they are so close! 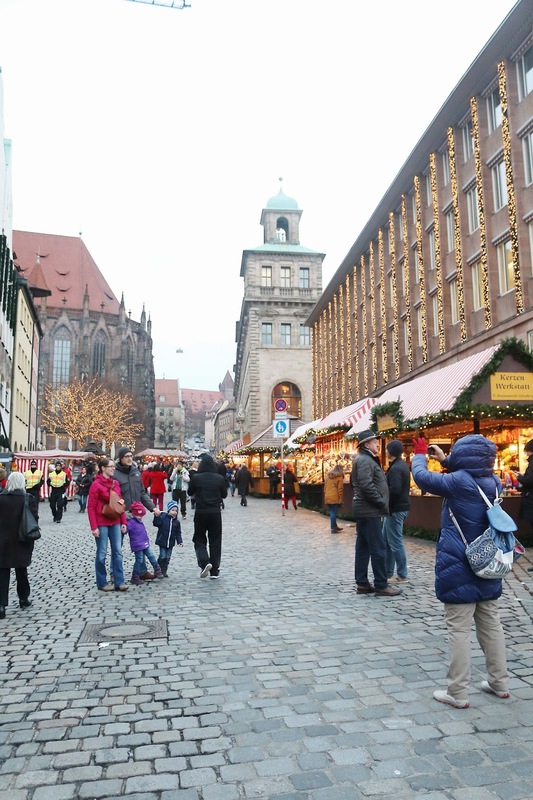 Have you ever been to Nuremberg or to any other Christmas markets this year? Did you wish you could make the ‘Christmas market smell’ into a candle, or was that just me? haha!